>>> sources this sunday morning are telling nbc sports that yankees star alex rodriguez will be suspended for the remainder of the 2013 season and likely the entire 2014 season. major league baseball commissioner bud selig expected to make that announcement tomorrow. 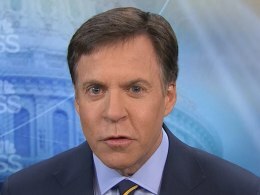 i want to bring in bob costas of nbc sporpts. always good to have you, bob, especially with a developing story like this. this is about biogenesis, as mayor giuliani referred to, and a second round of steroid use for alex rodriguez . >> yeah. and they feel, "they" being baseball, feel that they have such abundant evidence against him that they can make the case stand up. ryan braun was already suspended for 65 games. there were few players more defiant than ryan braun who got off the first time on a technicality. but when presented with the evidence that baseball had, he settled. for whatever reason, and there may be financial reasons protecting the remainder of his contract, other issues involved, also just personal pride because a-rod is a different sort of individual in terms of how he views himself and his possible legacy in the game, for whatever reason they have, "they" being a-rod's camp, and baseball, have not been able to reach any kind of settlement. so selig is going to go ahead tomorrow and suspend him. the key is he's going to suspend him on two count, under the joint drug agreement but also under the overall collective bargaining agreement and the so-called integrity of the game clause. and the reason why that's significant is that on the first, if he or any other player, like let's say nelson cruz of the texas rangers , who leads them in rbis and is expected to be suspended tomorrow, as well, any player could appeal and remain on the field pending the outcome of the appeal if they're just suspended under the drug agreement. but if you're suspended under the best interests of baseball clause, you can still appeal but you're off the field and cannot play while that appeal is being adjudicated. and baseball apparently wants to make sure that a-rod doesn't play until this thing is completely settled.